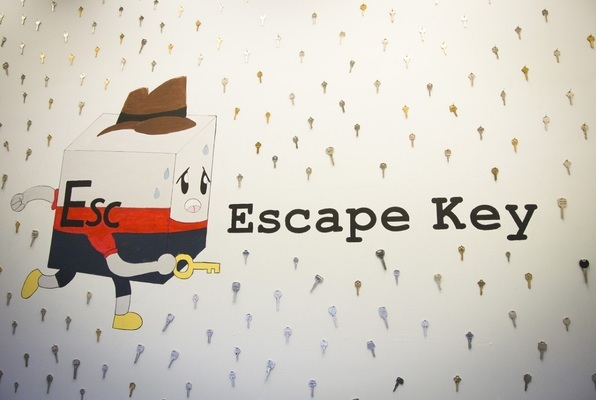 Last reviews of escape rooms by "Escape Key"
Ive been to a few escape rooms and i honestly can say this is the best one . the people are so kind and really knowledgable and passionate about what they do . the rooms are well thought out and super challenging but logical at the same time . HIGHLY RECCOMMEND. This was my first Escape Room, and I would recommend this place! Unfortunately, it was late night so most escape rooms were closed, but the owners were nice enough to accommodate us. They seem to be pretty experienced and enthusiastic about what they do. On top of being a cool pair of people, the Escape Room was well thought out and each step is pretty logical. They even went as far as to put separate people in different positions in the room according to certain characteristics like who is easily scared, who considers themselves smart, etc. The rooms are also complete with a story. Escape Key is friendly to both newbies and veterans, the price is completely reasonable, and it's a lot of fun! Definitely recommended! Our group (Escape Junkies) did the Revolution room last night. We've done approximately 30 escape rooms in Las Vegas, and I can say that this room is definitely unique and brought a great challenge. We appreciate rooms that are unique and well thought out. This one did just that. Tim, the owner and room designer, did an excellent job! Just talking with him briefly, I can tell he's very passionate when it comes to escape rooms and puzzles. His design craft definitely showed out! In addition, a major factor in which I rate an escape room experience is the way the game master delivers our hints. Tim was able to thoroughly direct and guide us when asked, without "telling us" the answer, which was a major plus for the experience. I would definitely recommend this escape room experience for all levels! We did this escape room with a group of 11 for a birthday party and it was absolutely amazing!!! We all loved and had so much fun solving the crash. Justin (the manager) was great and very accommodating! Will definitely recommend this to friends and will return for more puzzles! Great experience with The Crash room! We've done many escape rooms and this one was very fun! The puzzles and clues were different than a lot I've seen before! It's a little hard to find but it's worth it! Very friendly staff we chatted with for a while before and after.